Nearly 25 percent of all international students at Illinois State University hail from India. The Indian Student Association (ISA) is a registered student organization geared toward celebrating the vibrant culture of India. Students in the Indian Student Association at Illinois State University. 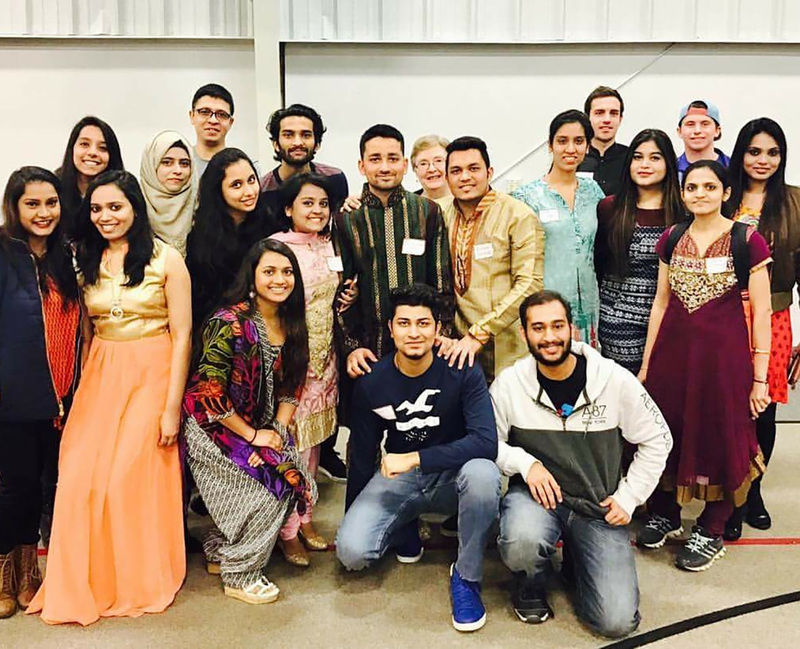 Established in 2000, the ISA aims to bring on-campus Indian students together, and share a common platform to plan social, cultural, and educational events. “The Indian Student Association is based on preserving and sharing the rich Indian culture with all the ISU students,” said ISA President Shweta Kumari, who also noted the organization is one of the most active cultural organizations on campus. The association contains a mix of students and alumni, and the ISA committee helps in planning and organizing a range of different programs throughout the school year. From celebrating “Holi” (the festival of colors) to fun-filled “Bollywood Nights,” ISA celebrates several Indian festivals. Some other popular ISA events include Ice-Breaker in fall and spring, and Garba Night. During another event, Bhangra Night, members get to enjoy the upbeat and lively folk music from the Punjab region of India. Originally meant to celebrate the beginning of spring or “Vaisakhi,” this folk music has evolved in the past years and is being mixed with other international genres like hip hop, house, and reggae. Ganesh Chaturthi is another popular event celebrated by the ISA. It is a Hindu festival held on the birthday of Ganesha, who is widely revered as the god of beginnings. The festival lasts for 10 days and is celebrated by installing clay idols of Ganesha and offering prayers to it. Followers recite Vedic hymns and Hindu texts such as Ganapati Upanishad. Prashads, which are sweets blessed from the prayers, are distributed to everyone. Other events that ISA takes part in includes Indian Night which is organized by Illinois State’s International Talk Time, and Gala Night sponsored by Illinois State’s United International Association. Through its yearlong activities, ISA seeks to enable its members to understand the local way of life and have a rich, multicultural experience. To find out more about ISA, visit Illinois State’s ISA Facebook page.